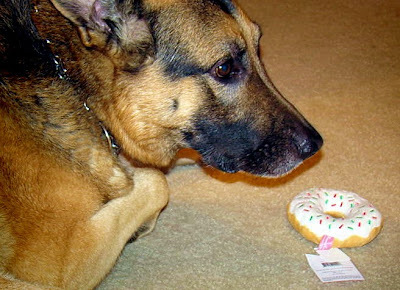 "You give me a "donut" and it turns out to be only a toy!" The good news is that we are still accepting applications and still want you to apply. 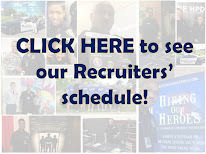 Apply online at www.hpdcareer.com and get into the system. Time really does go by very quickly. Before you know it, you will be getting the call to come in for an interview. As the economy improves employment numbers will go up. Funding for future classes could come about at anytime and it will be to your best interest to already have an application on file. 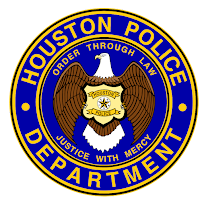 Hang in there, I promise you that being a police officer for the City of Houston is well worth the wait! Thank you for todays post Officer Mccoy. I want to be a police officer so bad I can taste it. Hopefully things will change soon and you guys will start hiring more people in the future. In the mean time I will finish my degree and patiently await for my interview. HPD is worth the wait! Funny picture. Is that Alpos? He looks so disappointed. I have applied and I understand. Thanks for caring. Love the blog! I appreciate the post today, and everyday, Officer McCoy. You do a FANTASTIC job on the blog and it really keeps me motivated as I am making my way through the recruiting process. I especially enjoyed looking back at months past and discovering the Webisodes about the police academy. Just when I was getting impatient, it put the FIRE back in me!! What an awesome way to give recruits an inside look into the police academy... it is much appreciated. Thanks again and keep up the great work! Thank you for the support. Let's hope you all become part of the HPD family soon.